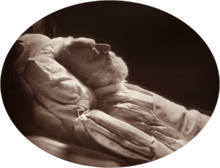 Victor Hugo is best known outside France for two novels he wrote, Les Miserables and The Hunchback of Notre Dame. I recently tried to read an unabridged version of the former and I may have read abridged versions of the latter as a child. The latest film version/ musical of Les Miserables is a powerful work which captures the main story line of the novel very well. However when I read the book, the level of detail (“God is in the details” according to the translator) was difficult to wade through. The book had about 1500 pages and I gave up around page 1000. Maybe I will complete it some day. France and the UK have always stood poles apart – especially during the 19th Century. This is mainly because France had a bloody revolution at the end of the 18th Century and the UK didn’t. Victor Hugo was an apologist for the revolution. He argues extensively in Les Miserables that it was a great thing for France and for the world that it happened. On that point I could not agree. Charles Dickens’ novel “A Tale of Two Cities” which I did complete not too long ago brings out the contrast between London and Paris at the time. Dickens is distinctly not apologetic for the French Revolution. In fact you would be hard pressed to find many Englishmen who are or were. Being Irish I understand the power of blood sacrifice in nationalist revolution. I came to live in Ireland at 12 having been schooled and reared in England until that time. I can still remember the shock of the Irish view of revolution and what it meant to the Irish. Everything in the Irish worldview is coloured by 1916 and 1922 as well as the history of revolutions extending back before 1798. Around where I live there are 3 plaques and a monument within a 2 km radius commemorating battles and deaths that happened in the local area during the revolution of 1798. Blood sacrifices have power. As Christians we should know this only too well. The rising up of the ordinary people was praised throughout Les Miserables. Victor Hugo helped lay a foundation in French thinking that makes it perfectly acceptable for a large amount of people working in a particular industry to hold the rest of the country to ransom. He also had a wife and a mistress, another pattern of French public life he reinforced.